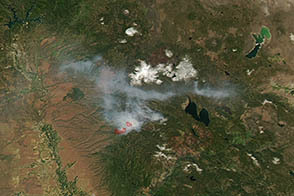 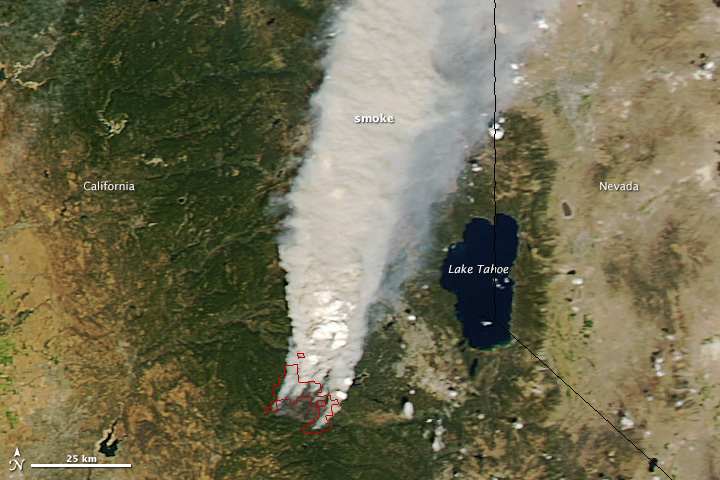 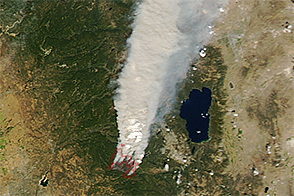 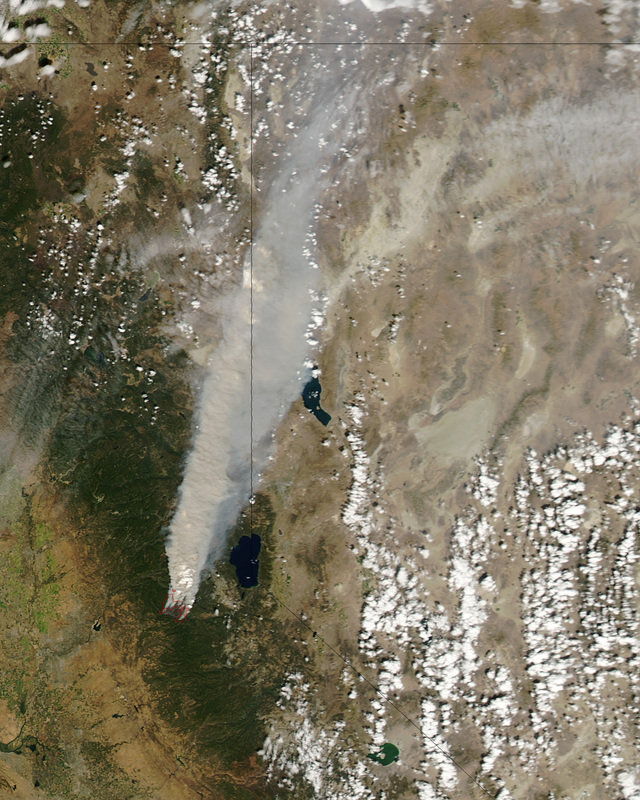 On September 17, 2014, the Moderate Resolution Imaging Spectroradiometer (MODIS) on NASA’s Aqua satellite captured this image of the King fire fire burning in Eldorado National Forest. 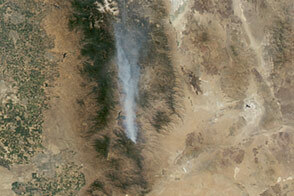 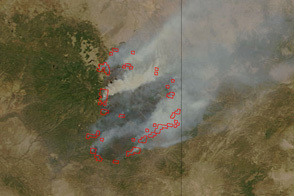 Red outlines indicate hot spots where MODIS detected unusually warm surface temperatures associated with fire. 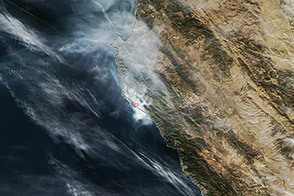 As of September 18, the fire had charred 70,944 acres (27,710 hectares) and forced 2,819 people to evacuate their homes. 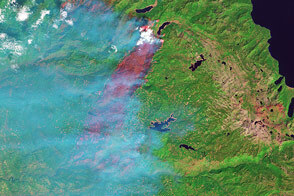 The fast-moving King fire burned in Eldorado National Forest in September 2014.